Happy National Martini Day! 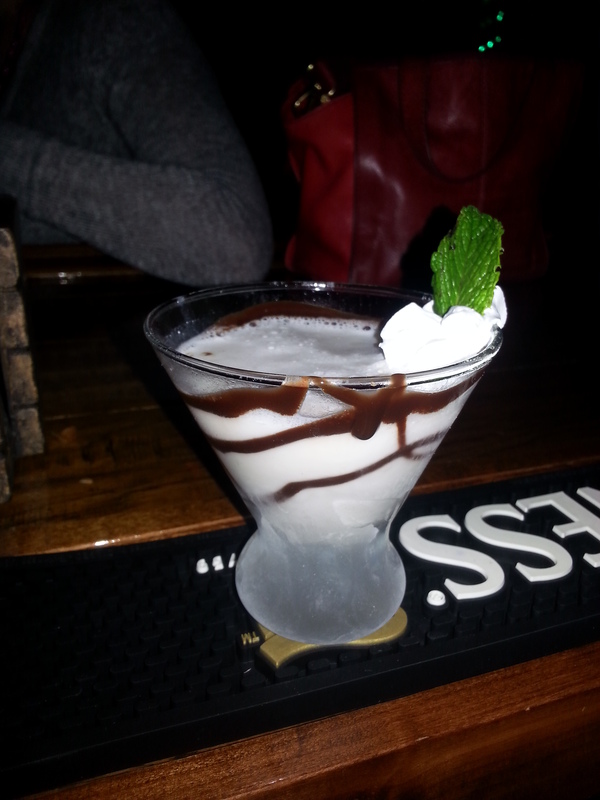 Hazelnut and Irish Creme Chocolate Martini! I’m definitely not a purist when it comes to the chocolate martini. I usually ask the person what they want in it, since I don’t have a set recipe that I have to use. I don’t have any chocolate liquor so I make due with what I have. 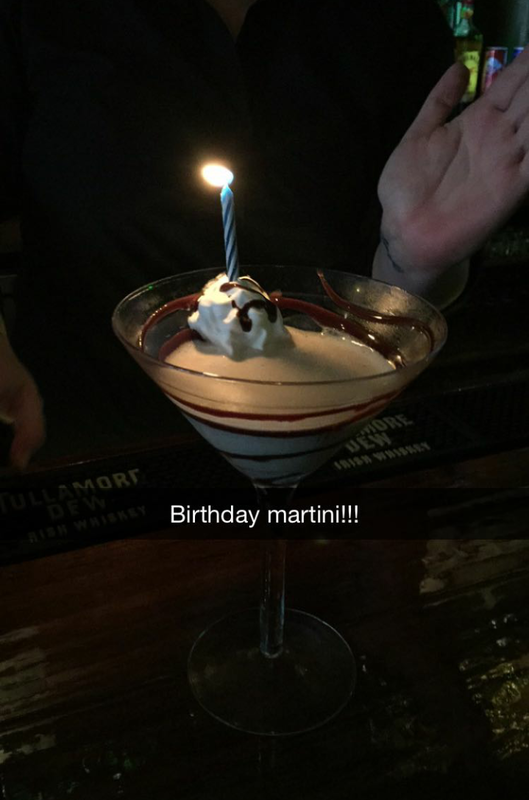 Take a frozen Martini glass and swirl chocolate sauce around the bottom. Put ice, 1.5 oz Vanilla vodka (I used Absolut Vanilla), .5 oz Kahlua, .5 oz Frangelico Hazelnut Liquor, and .5 oz Baileys Irish creme in shaker tin with a small amount of whipped creme. Feel free to pour chocolate sauce in like you would milk to make chocolate milk. Shake vigorously. Strain into your pretty glass and top with a dollop of whipped creme and a mint sprig, or a cherry. I mix it up by using caramel Baileys, regular vodka, Kahlua, Frangelico, Rum Chata sometimes, really whatever I’m feeling.